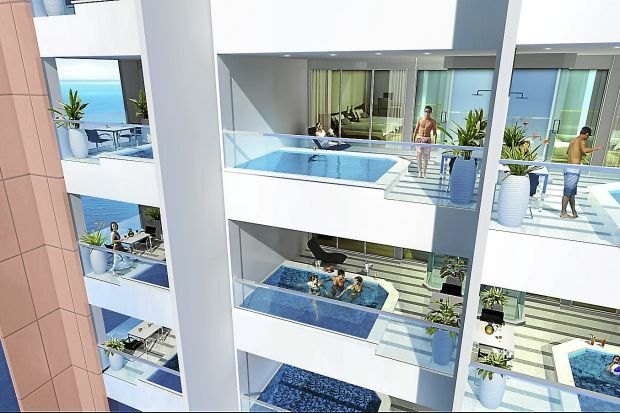 Teluk Kumbar is set to be the latest holiday paradise in Penang when Lexis Suites Penang opens next year. This five-star 222 suites resort will be the prime mover of the untapped tourism potential in this idyllic fishing village. “Strategically, it is the perfect location because it is just 4km from the Penang International Airport and the industrial areas. Yet, it is tucked away at the southern pocket of the island, far from the hustle and bustle,” said KL Metro Group senior sales manager Loh Koon Wan. As the first world class beach resort on the south of the island, Loh said they would focus on promoting and preserving the idyllic nature of Teluk Kumbar to contrast against the upbeat style of the northern side in Batu Ferringhi. “We will also uncover little known tourist attractions in areas such as Gertak Sanggul and Balik Pulau. The resort is all set to create a new chapter in the tourism industry in Penang,” he said, adding that the resort would conduct local tours in the area for guests. Loh also said Lexis Suites Penang is an exciting investment opportunity, with more than 80% of the units sold. The main attraction of Lexis Suites Penang as prime real estate investment is the three-year guarantee of 7% in rental returns per annum. Each suite is opulently furnished and reasonably priced at between RM750,000 and RM1.1mil. The uniqueness of the suites is that each one will have its private pool and sauna room. The resort will have the full range of facilities, including a spa, coffee house, Japanese restaurant, pub and bistro, karaoke and banquet ballrooms. Watersports and beach volleyball courts will also be set up, together with outdoor restaurant and barbecue facilities. KL Metro Group will be showcasing Lexis Suites Penang at The Star Property Fair 2013.